Bishnu is the founder and chairperson of EDUC-Nepal. 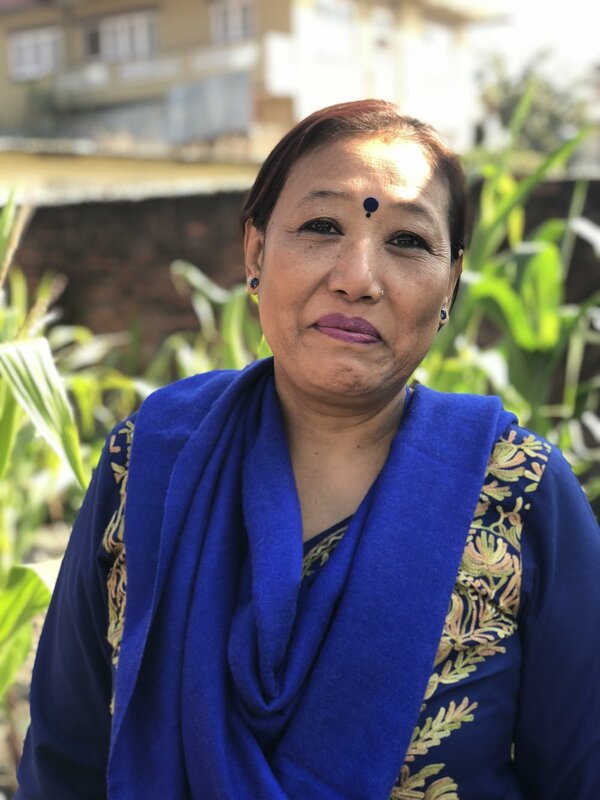 While Bishnu was actively seeking out volunteering opportunities almost 20 years ago, his sister Keshari mentioned the problems she was having while teaching the children at the Nepali government school. She and Bishnu teamed up to found and incorporate EDUC-Nepal in 2002, and have never looked back. He loves playing guitar for the children. Keshari is co-founder of EDUC-Nepal, and sister to Bishnu. Prior to EDUC-Nepal, she had 30+ years of teaching experience in a government school in Nepal. Keshari got deep insight into the lives of socially and economically challenged children, and teamed up with her brother Bishnu to combat illiteracy and improve the lives of the children at EDUC-Nepal. She makes sure to provide the children with a moral and spiritual education. Beena is the secretary and coordinator at EDUC-Nepal, as well as a teacher with over 20 years of experience. Beena turned down an opportunity to become principal at another school in Nepal to dedicate her life to EDUC-Nepal. Outside of the classroom at EDUC-Nepal, she likes to take part in traditional Nepali singing and dancing.